Currently in Waikiki foiling and really loving using the NP foil here. However I've really scratched up the underside of my large wing and tail on the coral. Can anyone with a good eye for colour matching or insider info advise what colour blue it is so I can repair and touch up when home. Best place so far in Oahu was Pua'Ena point at Hale'iwa. 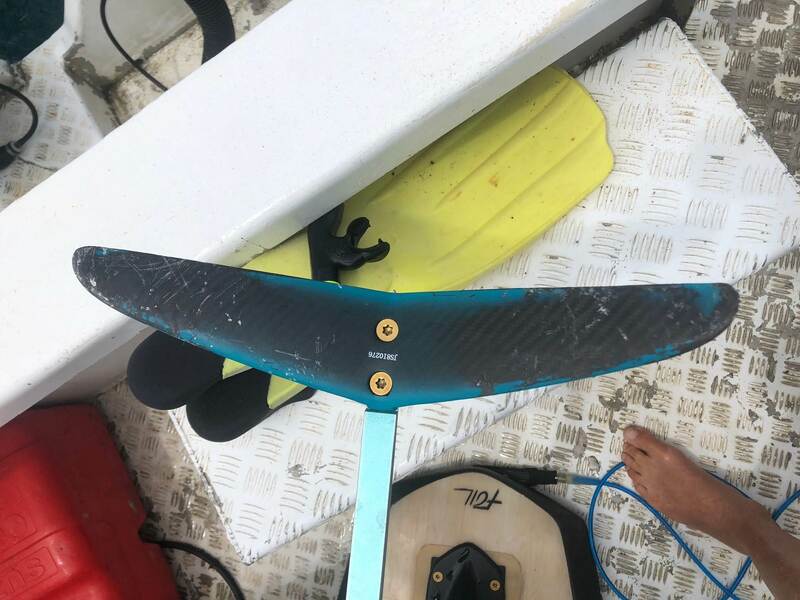 I did the same to mine in Fiji , the wings have a pretty heavy lay up of carbon so I just sanded off the paint finish with 800 grit wet n dry and let the carbon show through . Looks fine and quick fix if it happens again. Thanks Piros. Mine has some really deep scratches and chips, but still the wings don't whistle or not work. Just wish I could use the longer mast I have but it's too shallow. Yes I found the same the 650mm mast was the limit any longer and I couldn't paddle back out on the prone or even sit on it. 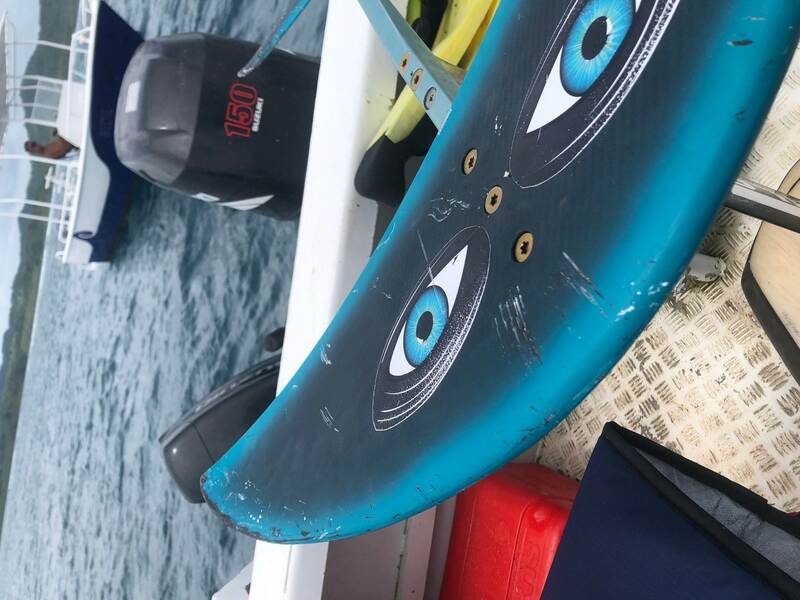 The Sup was much better for the super shallow areas as it was level paddling and not hanging tail down like on the prone. Lucky these wings are really strong , even with all this damage they are still silent. Have anyone a NCS or RAL code ? Mine got polished by the sand after the leash broke... Will Email NP and see if they can supply the right code. Take one of the parts to a local paint or auto store to colour match it. Maybe contact them first if they do colour matching. Looks like metallic colour obviously. I was thinking the same as my medium & large wing tips have been polished black by the sandy bottom. But probably not worth it as it will only happen again anyway. And if I did I would spray the underside of the wing tips black. I seriously analysed the colour in case I would come across some spray paint in future. In my view my brain says its not blue & its not green but smack in the middle of the two. I paint my foils with Dulux Duramax. Any chips or scratches get filled with PC-11 epoxy paste. I thin it with metho if necessary. You can buy it as Bunnings. I wouldn't try too hard to match the original colour. Just paint it and sand it and go for that brushed carbon look. The main point of painting the foil is to give you a sacrificial layer so you're not sanding away the carbon. There's something particularly beautiful about a well used, well maintained foil. It gives the illusion you know what you're doing (or the self delusion which is just as good).